I’ve been homeschooling for almost 20 years, and throughout that time I’ve gone through more ways of scheduling formats than I can shake a stick at! From lessons and schedules scrawled on sheets of loose leaf, to typed-up plans and transcripts, to ~ these days ~ records maintained on my laptop or online that can be printed out or transmitted electronically. 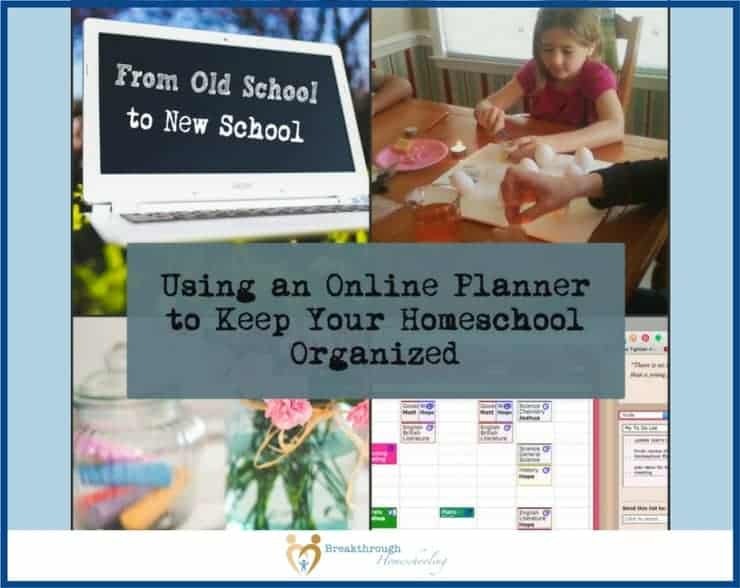 Today I’m talking about an online planner offered by Homeschool Buyer’s Co-op. I had the opportunity to “try it on for size” for awhile, and if you’ve been trying to find a way to get your homeschool, and your home life, organized, you may want to watch and read on! 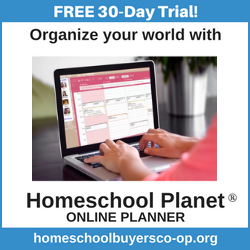 Homeschool Planet offers a flexible and functional tool to keep all your home-related plans in one place! Finally, I’ve found a way to stay on top of what my middle-schooler and high-schoolers need to accomplish (daily and over the course of the semester), and their sports, music and church activities, and my grocery/meal planning/shopping list. Integrate it with almost any online calendar you might be using already – I use Google’s calendar – and have classes or extracurricular activities show up there, so you don’t double-book yourself or the family (not that ever would happen to you, I know 😉 ). Include any family member’s cell phone when you set up profiles, and you can shoot them a message when you’re updating or reviewing lessons or the calendar, as you’re sitting at your desk. I can send the kids daily or weekly schedules to their own email accounts, or print them out in color or ink-saving black. And when changes to class assignments or lessons occur, as they often do when life happens, the schedule is easily accommodated – Homeschool Planet automatically moves everything ahead 🙂 ! Plus, you can create and print out reports: almost any combination of reports you may want or need – assignments for a single student or combined students, or any schedule of classes or activities for the same…for a day or a week or a semester! Teaching high-schoolers? 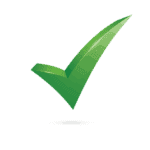 You can create and update beautiful, professional-looking transcripts simply and easily. Of course, even if you’ve gotten this far, you still may be a little dubious about this format as I was. That’s fair. It’s hard to really let go sometimes and give up the pencil and paper. And, honestly, there are some advantages to that method (although they may be more emotional and less practical). I think the folks at Homeschool Buyer’s Co-op were expecting that as well, because they have offered a FREE 30-day trial so that you can give it a test-run, too. So here’s my suggestion: Take them up on their 30-day offer. And really try it out: add classes and schedules and assignments, create profiles, integrate it with any other online calendar you already have for personal use, push a few lists to your smartphone… Take about an hour or two to examine it; you can even view this short overview video outlining the basic features here. And THEN make a decision! I think you’ll be happy with incorporating Homeschool Planet into your organization and planning efforts. NOTE: This review is part of our mini-series “5 Areas You Need to Control to Have a Successful Homeschool” – check out the other areas here! Do you have questions or comments about online planning software in general or Homeschool Planet in particular? Please leave them in the comments below and I’ll be more than happy to address them! 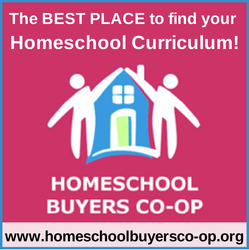 Follow Homeschool Buyer’s Co-op on Social Media! ← How to Save Even MORE Money at The Grocery Store! Thanks this is really helpful! I am just starting homeschooling and get overwhelmed thinking about the organizing/planning of it all. I also love the idea of being able to email the kids their schedules and assignments when they’re older. Thanks for sharing. I am usually a paper and pen type of planner person, but I think I might have to give this online planner a try! We have been homeschooling for 10 years now and record keeping/scheduling is always a big task. I hope you have a blessed week!! Nicole, I was always a paper and pen kinda gal, too. But if you’ve been homeschooling for 10 years, you’re probably getting close to high school…thinking on-line may be the way you might want to be headed 😉 Especially for transcripts!!! Feel free to contact me if you have any questions I can help you with, ok?! Thanks for the info. Twenty years of homeschooling experience is something we can trust! So glad you joined us at #LMMLinkup. Love Homeschool Planet too! 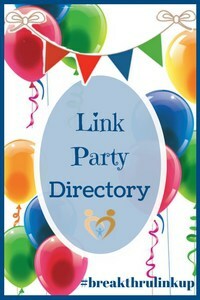 I was also blessed to try this online planner out & just love it! I never dreamed that I would like an online planner but this one has just rocked! So glad I found this on The Homeschool Nook!! 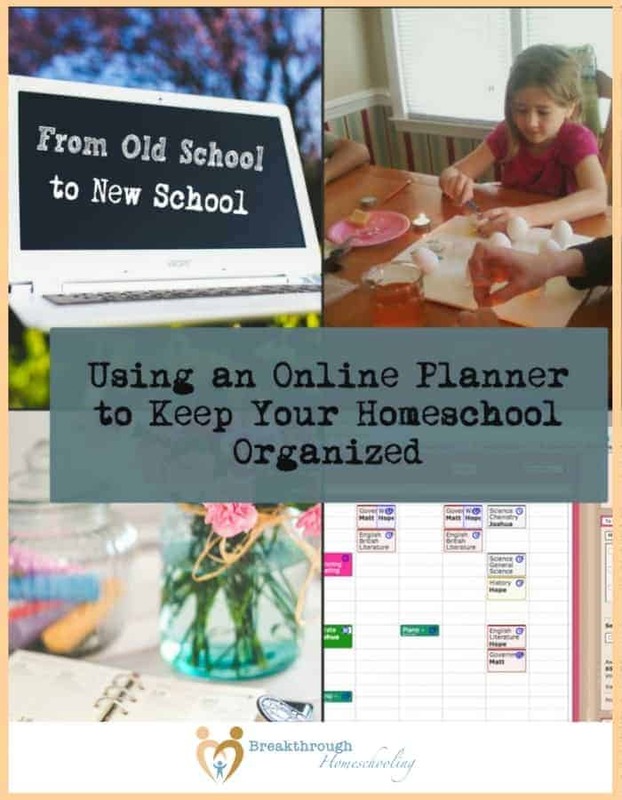 The online homeschool planner is going to be a great resource for the homeschoolers. I would recommend this to all my friends and neighbors. Thanks for the great tips. I’ve been using Homeschool Planet for 2 years now with my high schooler (started with 9th grade)! I especially love how user friendly it is! I didn’t have to be a techie or take a week long seminar/webinar to figure it out and was able to jump right in and get our school year and assignments plugged in! It has been a wonderful tool to help me keep track of grades (something I’m not great at!) and my son really likes being able to check off his work in the check boxes when he is done with an assignment. I like this feature too because I can track his work progress without constantly hovering over him. The favorite feature for myself has been the Grade Report, especially at the end of the year when I need to write transcripts! While there is a transcript feature, um…I wouldn’t say it’s the most professional looking document (IMHO), but it was extremely helpful in calculating the overall grades for each subject and GPA. I was quickly able to transfer this info to my own transcript without having to use too much brain power! 🙂 I also like being able to print everything out and file. I can print out a grade report for each class at the end of the semester or year and file in that subject folder to keep on record. I also print out a full grade report with all the classes to keep on file and reference for transcripts. Attendance is very easy to keep track of as well and I can just print out the year and file for our state’s requirments. There is a Lesson Plan feature which I have yet to try (I’ve just added each class and write the assignments each week), but plan to play with this year, since there will be classes that will repeat assignments. I believe when you purchase Homeschool Planet you can purchase with the option to add already created Lesson Plans from popular curiculum (i.e. Math-U-See, IEW, etc.) that allows you to just plug in those pre-made lesson plans. Loved all your ideas, Amy; thanks so much for taking the time to share them <3! I'm much the same with the paper-and-pen thingy...maybe it's just 'cause I was raised old-school and am transitioning to tech (?) I know my kids are tons more comfortable going right to online tools! Enjoy your summer and have an AWEsome year!